Day 2 follows the format of the past except that the keynote will be someone who actually designs vehicles, and the focus of their talk is how they use what we do, and how we could do it better. In addition, the day ends at Mcity, the automated vehicle test track. The plan is to have vehicles there people can drive (or ride in). Consumer Insights on Driver Interfaces: What Do They Want? What Will They Use…or Not? Short Bio: Renee Stephens is Vice President of U.S. Auto Quality at J.D. Power. 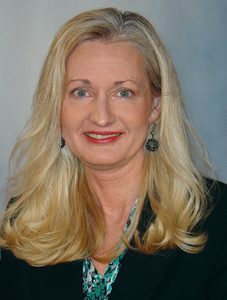 She is responsible for key U.S. automotive quality studies designed to bring the Voice of the Customer (VOC) into the vehicle and component development and delivery process. Additionally, she leads innovation projects and endeavors to understand customer behavior and preferences in the HMI areas and improve VOC visibility in the supply base. Previously, Ms. Stephens worked at General Motors, most recently serving as director of quality data management in GM international operations, based in Seoul, Korea. In that role, she was responsible for quality improvement in current and future products across Asia, Europe, Russia/CIS, Africa, Oceania, South America and the Middle East as well as products shipped to 140 countries globally. Ms. Stephens spent 10 years as a certified quality engineer with the American Society of Quality and was acting as dean of the GM Quality College for five years. She was awarded the GM Korea President’s award and received two GM “People Make Quality Happen” awards. She is also frequently quoted in major media publications on industry quality. Ms. Stephens received a bachelor’s degree in management and a master’s degree in business administration concentrating in marketing research from Wayne State University. What do they want? What will they use…or not? Each year, J.D. Power captures the opinions and perceptions of millions of consumers. These insights are used by companies worldwide to improve quality and satisfaction, with the ultimate goal of delighting the consumers who purchase products and services. Today, consumers are increasingly describing their automotive experience – both positive and negative – in terms of their interactions with the technology provided in their vehicles. And there are an abundance of new capabilities offered, including enhancements in collision protection, driver assistance, entertainment and connectivity, and navigation. While providing more options, some of these technologies are also frustrating and distracting customers, leading to lower satisfaction. At some point, consumers are abandoning the in-vehicle technology in favor of an outside device that better performs the intended function. In this discussion, we’ll explore the areas that consumers are struggling with the most and interactions that are driving the most “lost value.” We’ll also look at how consumers prefer to engage with their in-vehicle technology. Our studies have demonstrated that having a positive first impression of a function or feature is key to adoption and usage of that technology. And consumers’ attention span is short. Features that a driver does not use in the first thirty days have a low probability of usage later. Trust is quickly becoming a major factor in technology acceptance, driving implications for the future. Poor or inconsistent experience can erode trust over time, thus impeding the journey to more fully autonomous capabilities. Even our youngest drivers who have a high interest in fully autonomous driving also have deep concerns on the reliability of unproved technology. Trust will be the differentiator between products and technologies, and will determine which consumers continue to use…or not.